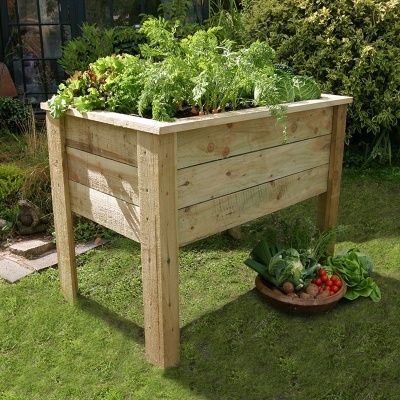 Zest 4 Leisure Deep Root Planter 1m provides a timber vegetable planter best suited for deep root varieties such as carrots & potatoes. Ideal solution for growing your own on a patio or balcony space where space is minimal. Deep Root Planter depth also provides an off the ground growing solution for gardeners who wish to avoid bending down, due to disability etc. FSC certified timber construction heavy duty pressure treated softwood planter ideal for deep vegetable growing. Self assembly required.